Nice tank. Would love to see how it matures. And if you got that chalice as mummy eye, good on you, looks like one of those 400 dollar ones. Edit: I’m also considering a 25 lagoon. Would use it as a frag tank tho. 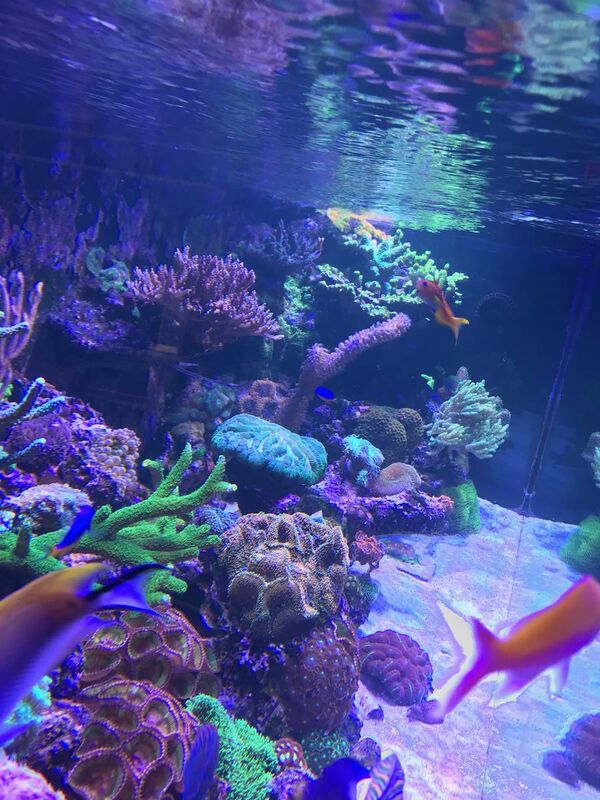 Finally Reefing! - Standard 10g (Carribean Inspired) - Gorgs, Rics, Macros and more! Also want to see how us 10 gallers are faring in these tough winter months. I have to be honest, Tang related. We cant know what fish think. His growth has been stunted in that tank and the op cannot upgrade. The only option at this point to to regime the poor fish. This black box has a two channel dimmer and the exact same lenses as the ocean revive. You can find some good bbs if you look. Keep it 12 inches over the tank and just turn the knobs and you’ll be good. Tbh I would say your fully stocked. Clownfish can get pretty big and mean and eat a ton. Plus the goby your have a full house. There’s quite a bit more than 3 speiceis. There’s hundreds but only about 5 percent eat corals. And most only eat zoas. I wish I could get rid of him. All he does is eat, sit in the corner, and terrorize my hand whenever it’s in the tank. Forgot to give a word update. There is no large issues right now. Dino’s are being stopped by not changing filter floss, not changing water, craning up light and flow + vigorous turkey basting. The bryopsis algae stuff was killed by flucon and a black out period at the end of the 14 days. 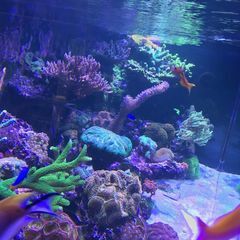 I think the algae stripped my nutrients and led to the dino’s I have not changed anything other than lights and the corals are already improving. The zoas skirts have turned bright green, the acan has lost its get and is now true blue and purple along with the orange. The Monti has not had any growth but polyps have been showing more frequently than with leds. The mushroom is a mushroom. The only coral to suffer from the increased light was the chalice. When I got home it was clinging to its skeleton so I had to figure out a new spot for the most aggressive coral in my tank. I feel that it is about time for an Acropora, maybe a garf bonsai? Beetlejuice is still a resident of the cesspool and he bites me whenever I do tank matinence, very annoying, why do people choose to keep clowns? I are tried ehim jager, finnex, and tetra. The finned die because crappy suction cups put the heater IN the tank. The jager 100w is not fun to calibrate and drifts very quickly. The tetra preset ironically has been the best one, I use the jager set at lower temps (as to not fry my corals as it drifts) to do the heavy lifting and the tetra gets the final push. It’s an Oddysea 150w. Double ended and atm it has a 14k phenix bulb. Considering changing it to 20k if it’s too white. Nope, lemme guess tho. They make Led arrays.